A pair of audacious explorers are redefining some long-held assumptions about the efficiency and endurance of airplanes. 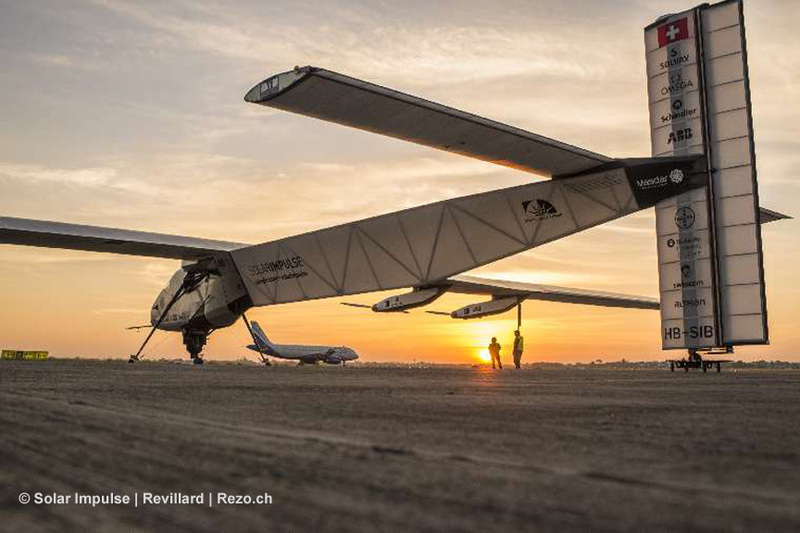 Swiss entrepreneurs Bertrand Piccard and André Borschberg have reached the midpoint of the first “around the world flight without fuel”, powered only by solar energy. The Solar Impulse 2 aircraft (Si2) has proven it can stay aloft day and night without a drop of fuel, so flight duration is limited only by man’s endurance. 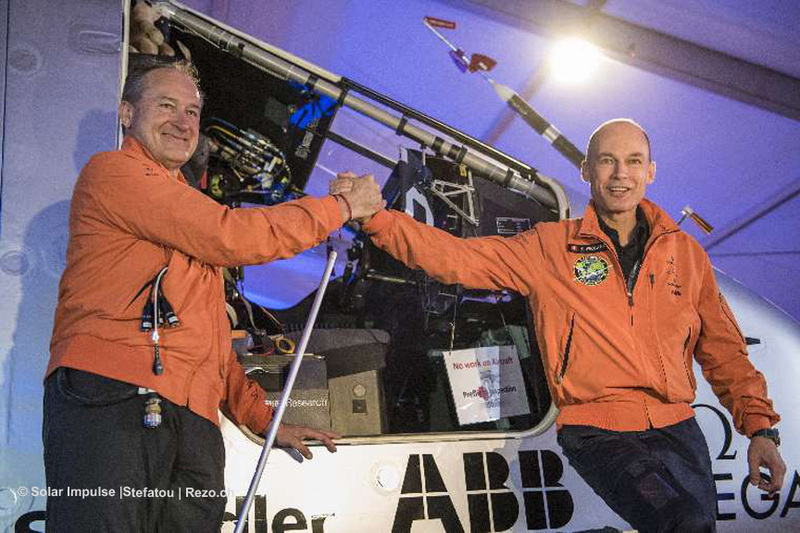 According to a press release from the Solar Impulse Around the World Team, “It has taken twelve years for Bertrand Piccard (initiator and chairman) and André Borschberg (founder and CEO), to be able to finally attempt to make their dream a reality – demonstrating the importance of renewable energy conceived through a pioneering spirit and innovation.” Their around-the-world flight has already completed 6 of the 12 planned stops and faces some difficult challenges ahead before it returns to where the trip began, in Abu Dhabi, UAE. The two principals have extensive experience with the business and technical aspects of the flight. Although André Borschberg flew Swiss Air Force Venoms, Hunters and Tigers, he also has an extensive post-secondary school education. After he earned his initial engineering degree in mechanics and thermodynamics, he garnered his next degree, a Masters in Management Science, from MIT’s Sloan School. Later, he branched out into business and financial management, and has two decades of business organization, consulting, and development experience. He brings his mechanical engineering and leadership skills to the Solar Impulse Team, and “As CEO, he has put together and motivated a team of 90 top specialists from very diverse horizons and origins”. 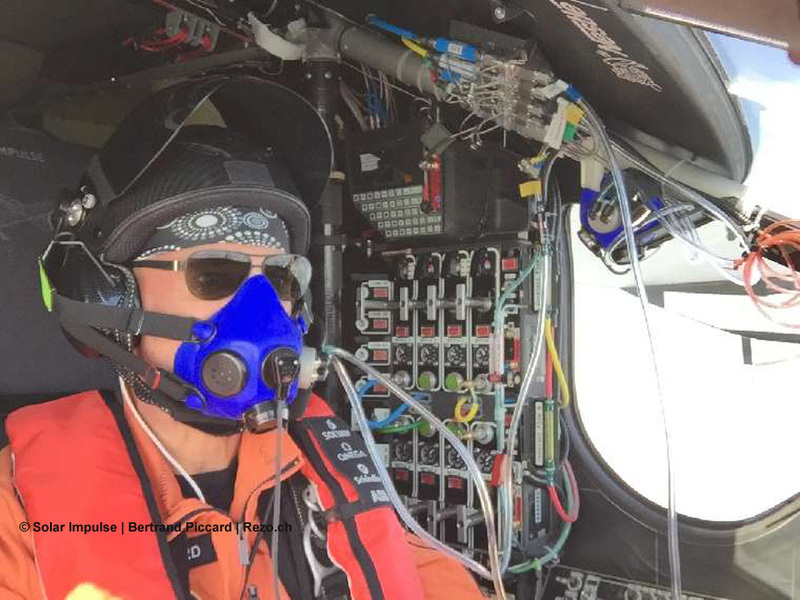 As a pilot, he has the skills honed from sharing pilot duties aboard the record setting Solar Impulse(Si1) Across America demonstration flights in 2013. 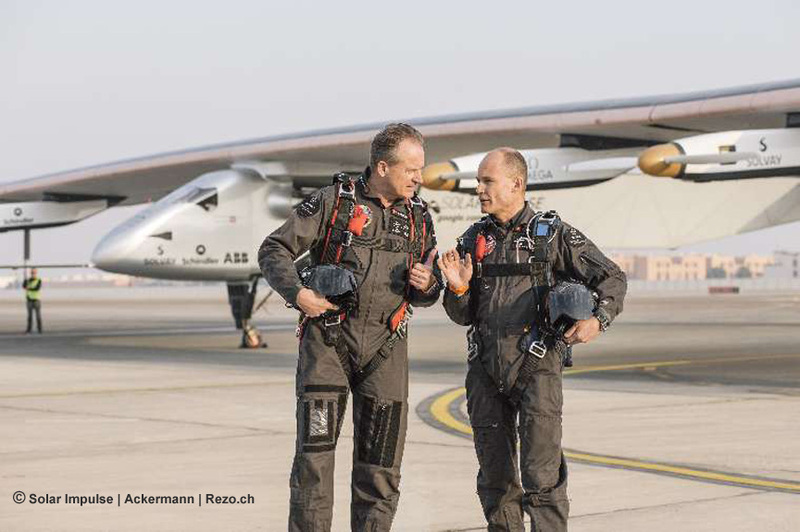 Bertrand Piccard has an extensive and diverse aviation background. Winner of the 1985 European hang-glider aerobatics championship, he also won the Chrysler Trans-Atlantic Challenge balloon race in 1992. His prowess as an aeronaut continued to shine as he and Brian Jones completed the first non-stop around-the-world balloon flight in the Breitling Orbiter in 1999. Piccard is not one-dimensional though, completing studies in both psychiatry and psychotherapy for adults and children. He is the Chairman of Winds of Hope, a humanitarian organization (founded with Brian Jones and Breitling) that has teamed up with the World Health Organization (WHO). Dr. Piccard has been appointed a United Nations Goodwill Ambassador for its Population Fund, and due to his inspiration and actions “for raising global awareness of the possibilities of renewable energy-driven transport”, he was named one of the six United Nations “Champions of the Earth” in 2012. Both men have an interest in the workings of the human mind. According to his biography, Borschberg has “…practiced meditation and yoga for many years, developing the latter discipline in order to improve his resistance to fatigue and stress during the long flights planned for Solar Impulse.” Piccard is a teacher and supervisor at the Swiss Medical Hypnosis Society, and he reportedly practiced hypnosis while aboard his winning Breitling Orbiter race to extend his endurance. 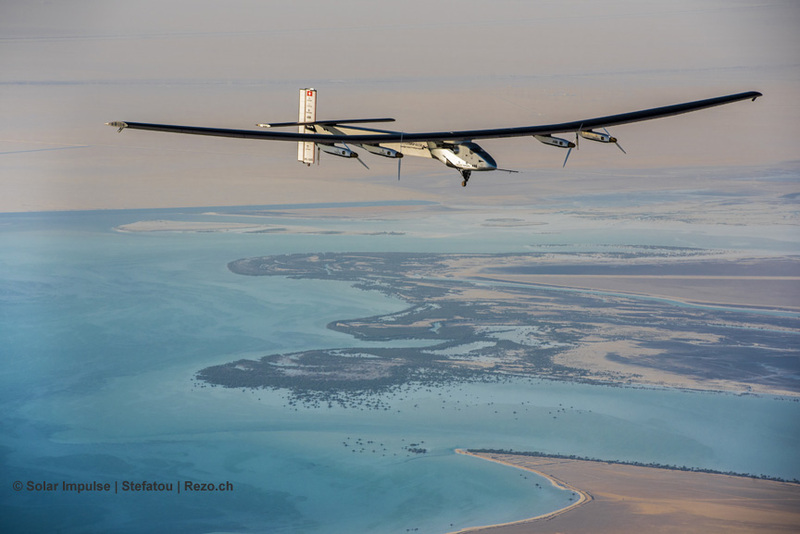 Additionally, both men have a cleaner future in mind for our planet, thus this solar powered flight. 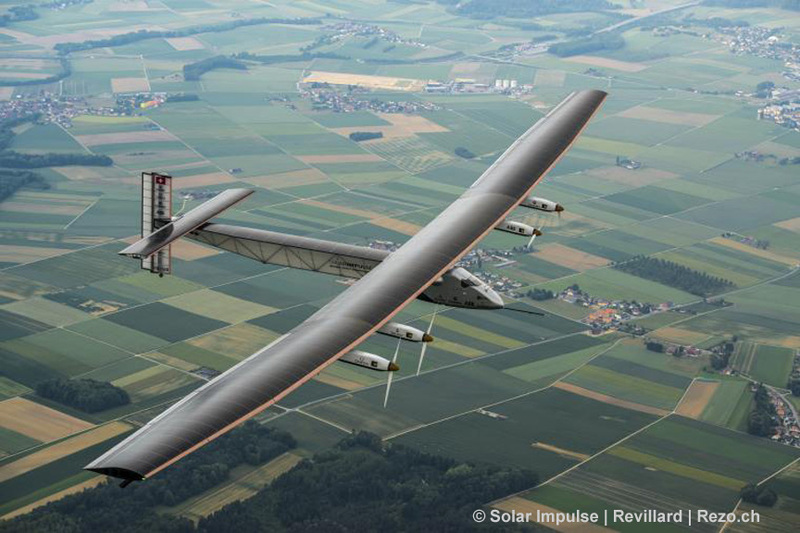 The Si2 aircraft is billed as the largest aircraft ever built with such a low weight. 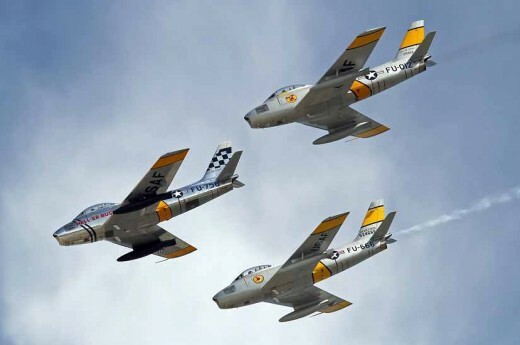 The aircraft tips the scales at slightly over 5,000 pounds, and makes extensive use of carbon fiber-reinforced honeycomb sheets. The carbon material weighs 0.8 ounces per 11 square feet, or about a third of what a sheet of printer paper does. The aircraft’s load factor is the same as that of an airliner. Its wingspan reaches 236 feet, longer than a Boeing B-747’s. The wing has been designed to minimize drag while maximizing its surface area. According to the aircraft’s manufacturer, “17,248 monocrystalline silicon cells, each 135 microns thick mounted on the wings, fuselage and horizontal tailplane, providing the best compromise between lightness, flexibility and [energy] efficiency.”. How does the Si2 handle in the air? It’s minimum (stall) speed is 20 knots at sea level, and 31.5 knots at its maximum altitude. Maximum speed is 49 knots at sea level and 77 knots at its ceiling. Its maximum cruise altitude is 27,000 feet. 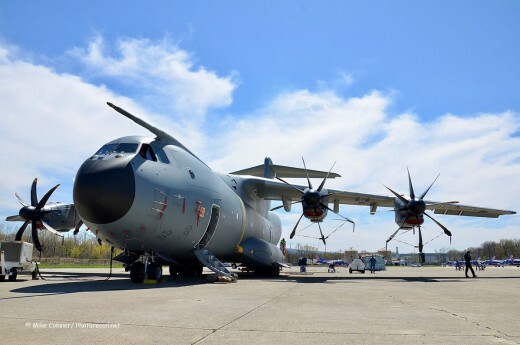 The aircraft is expected to operate between a temperature range of +40 degrees to -40 degrees Centigrade, which roughly equates to +105 down to -40 degrees Fahrenheit. 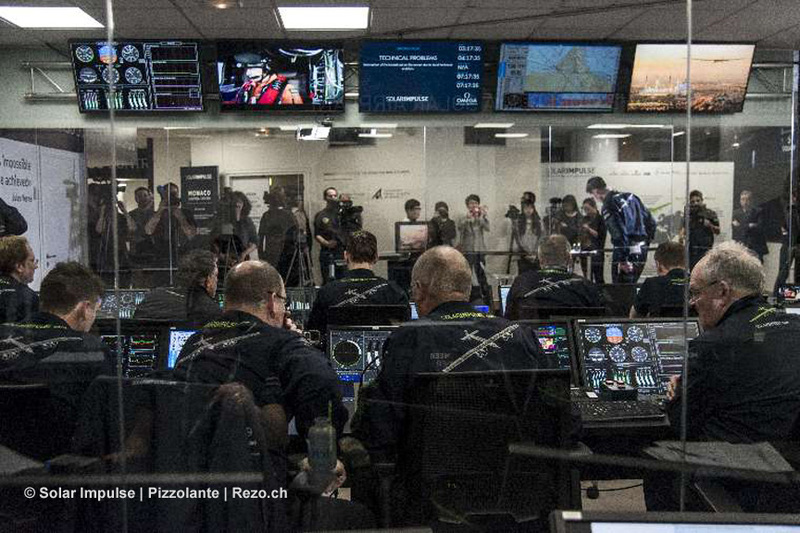 A Mission Control Center (MCC) has been established in the Principality of Monaco, and full-time monitoring of communications and telemetry, via satellite, is maintained at all times during flight. A Flight Director manages the team of 20 specialists who manage various aspects of each flight. Air Traffic Controllers coordinate the needs and requests of Si2, Meteorologists analyze data for allowable flight windows and routes, Mathematicians calculate subjects such as the amount f sunshine available for each flight, Capcom is in direct communications with the pilot, and Engineers monitor the aircraft’s technical data. Real time data is shown on multiple screens throughout the MCC room. Where has the Si2 team gone so far? Six of the 12 planned legs have been completed. André Borschberg departed Abu Dhabi, UAE, on March 9, 2015 to begin the odyssey. Bertrand Piccard took over the reins of the Si2 for the next leg, between Muscat, Oman and Ahmedabad, India. 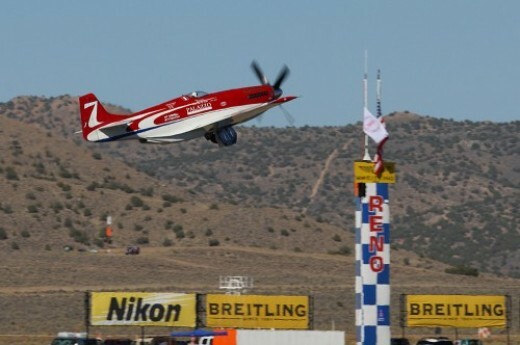 He subsequently set a new nonstop distance record by a solar aircraft (subject to validation by the FAI (Fédération Aéronautique Internationale) previously held by his partner, André, when he flew the original Si1 Across America mission in 2013. 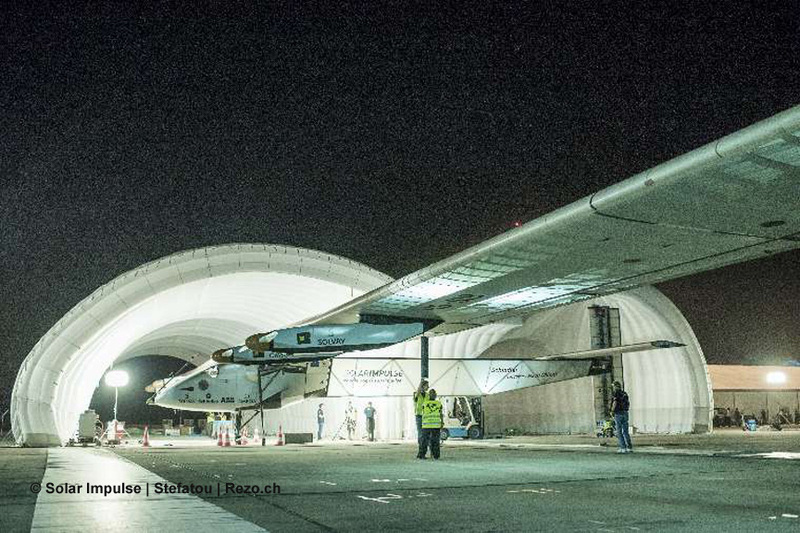 From Ahmedabad, Si2 continued on to another Indian city, Varanasi, then on to Mandalay, Myanmar. These legs were uneventful, but at Chongqing, China, a longer-than-expected 20-day layover was endured due to unfavorable weather conditions. Ultimately the Team was able to depart for Nanjing, China when the weather broke, completing the first half’s tally of six legs. Crossing the Pacific Ocean will be the longest leg of the trip, and the one that has the least room for error at the end of it. From Nanjing, the trip to Hawaii’s Kalaeloa airport – the former NAS Barber’s Point/Ewa MCAS complex, will take around 120 hours over a five day and night span. It doesn’t get much easier for the next leg to Phoenix, AZ,; as that leg is expected to take around 100 hours and four nights to accomplish. Things settle down afterwards though , with (only!) a 30 hour overnight trip to an yet-to-be finalized destination in the middle of the US. From there, another 20 hour leg will be flown to New York City’s JFK airport. Finally, back-to-back five night-long legs will be flown… the first leg from JFK to another yet-to-be-established airport across the Atlantic Ocean (the exact destination is weather-driven) to either southern Europe or northern Africa; the second leg will depart from that facility, destined to Abu Dhabi, and the end of the epic journey some five months after it began. The next window with favorable weather appears to be around May 5th. 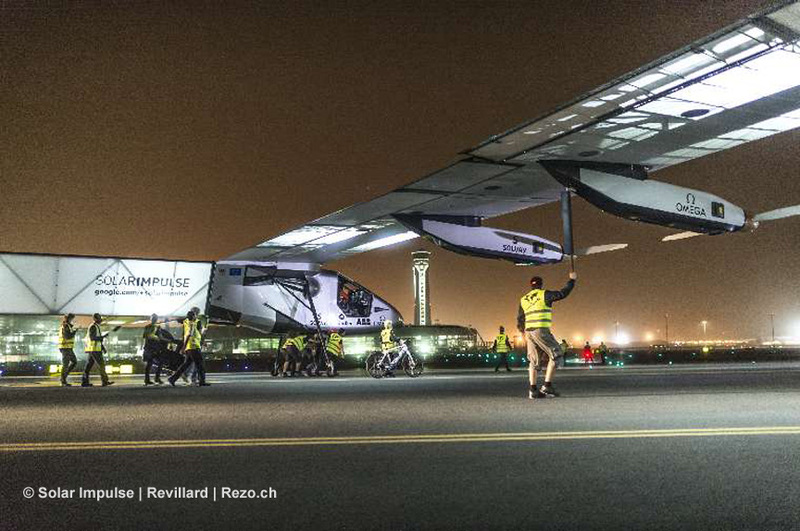 You can follow the Team live at: www.solarimpulse.com to follow the progression of the Si2 during its travel around the world. 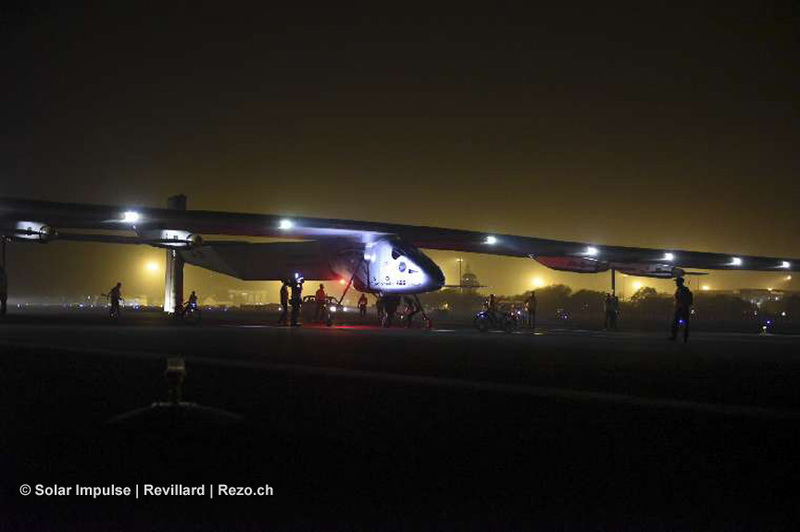 SiTV will stream live the departure and arrival of Solar Impulse 2 on each leg. Additionally, the virtual cockpit provides the telemetrics of Si2 (altitude, speed, battery level, equipment on board, etc.). 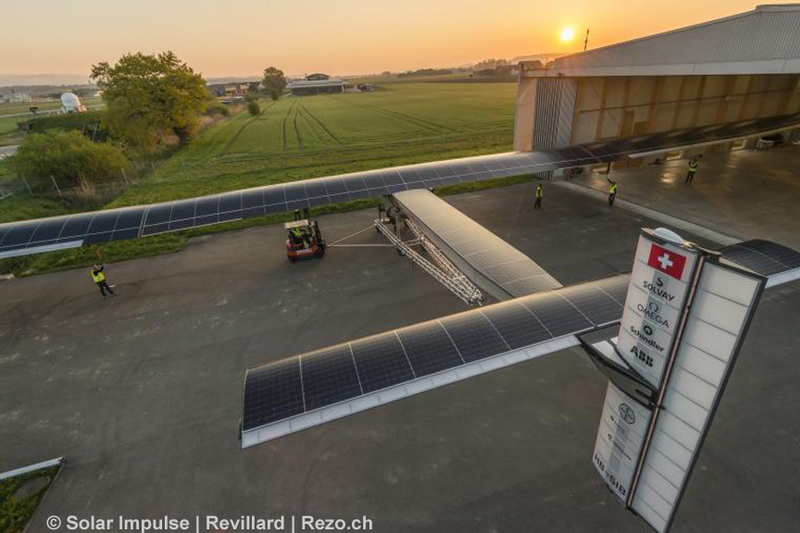 All photographs, and most names and slogans in this article are copyrighted material by Solar Impulse, and used with their permission. Photorecon greatly appreciates the availability of this information from the Team.